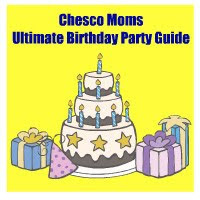 Hi, Chester County Moms! It’s Devon, from MamaCheaps.com. I wanted to share our new family tradition with you, and invite you to join in! There has been an exciting addition to our family! I first heard of The Elf on the Shelf last year from my sister. A student of hers had one and told her about the story. We both decided that this was definitely something that we would share with our daughters. 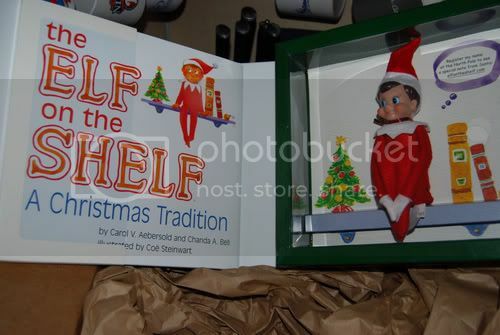 The Elf on the Shelf set arrives with a book telling the elf’s story and an elf himself (available in different skin tones, hair colors, and eye colors). This is the basic concept of the elf story: The elf works for Santa. Every year after Thanksgiving your very same family elf returns to your house from the North Pole. You see, Santa has so much going on in preparation for Christmas. He needs some extra help keeping an eye on all of the children of the world, and your elf has been assigned to your family by Santa to watch the children’s behavior. Each and every night, after everyone goes to sleep, the elf travels back to the North Pole to report that day’s behavior to Santa. The elf comes back in the morning, and hides somewhere in your house. Your family can have fun seeing who can find the elf in his new hiding spot first- BUT- the elf must NEVER EVER be touched- or else some of his magic might wear off, forever. On Christmas Eve, you’ll bid your elf goodbye. He will hop a ride back to the North Pole on Santa’s sleigh… until next year when he will be back! And so, of course, like so many things in our lives, I’d like to share this tradition with YOU! Check back each day to see where our elf was found. You can find all of my Elf on the Shelf posts HERE. *These are available in many stores as well! We’re doing Elf on the Shelf too…my little ones love looking for the elf – even if Mom and Dad sometimes forget where he is! My niece LOVES her shelf elf. Great idea. Ok, so I finally broke down and bought it!! I have been seeing it in the Gooseberry Patch flyer for years but never did. I have been hearing it all over the place this year and my sons are 3 1/2 and 1 so it is a great time to start a tradition like this!! Thanks!! We’ve had our Elf (Jingles) for the past few years. Every morning the kids come running down the steps to see who can find him first. This year during our yearly visit from Santa at my youngest daughter’s birthday party, he gave me a hand-made jingle bell that he said we can ring every once in a while to remind the kids that Jingles is watching them. This added a whole new level to Elf on the Shelf since when they hear the jingle bell, they come running asking if we heard it. Oh and ours shows up the morning after Thanksgiving. We told the kids we’re sure he watned to spend Thanksgiving with Santa before he came to stay at our house for so long. On a last note, I was at Barnes and Noble in Exton last night and saw they now have stuffed elves based on the book that the kids can keep all year long and play with since they can’t touch their Elf. Not sure if I’m going to get this for them though…. it’s one of those “let’s see if we can commercialize this a bit more” I think.